Recently when I visited my neighbor Geetha's house, she gave me her Vegetable biryani to taste and I immediately got hooked to it. I usually prepare it differently. So when I was thinking about different rice dishes, this thing immediately came to my mind. So called her up and got the recipe and tried it. Though it did not taste like hers, it did taste very good. So am going to stick with this recipe. It is a wholesome one pot meal perfect for packing lunch. Soak Basmati for 15- 20 minutes. Drain well and keep it aside. Grind fennel seeds, ginger, garlic, mint leaves, coconut,fennel seeds, cinnamon, cloves, red chillies into a paste. Heat oil and ghee in a pressure cooker and add cinnamon, cloves, cashew any fry them for a minute or two then add the onions, green chillies and saute them till onions turn translucent. Then add the chopped tomatoes and ground paste to this and cook till tomatoes turn mushy. Then add the chopped vegetables and add coconut milk and water, bring it to boil then add the soaked basmati rice, salt to taste and add handful of cilantro on top, close the pressure cooker and pressure cook. When it whistles, reduce the heat to low and cook for 5 minutes and turn off the heat. Let the pressure release, then fluff it up and serve with raitha. Yummy biriyani... I can get the aroma here.. Feeling hungry to see this biryani bowl. Delicious & divine. Makesme hungry,colorful and yummy biryani. wish I could come over for a bowl of this..looks YUM!! the ingredients look interesting..have book marked will read with total leisure. Delicious biryani. Love the addition of the ground paste. Will have to try this next time. 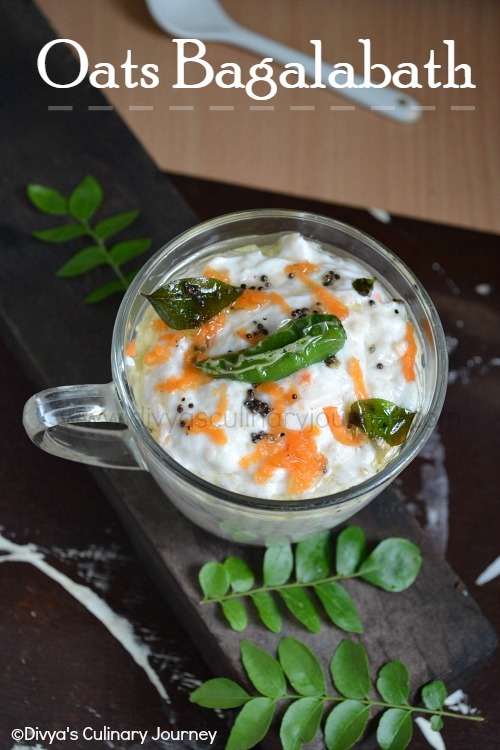 Love the flavors in this Biryani Divya. My mom makes it exactly with same ingredients and I do it to some time. This recipe makes me so nostalgic and I love the color of your biryani. Super Divya! Full of flavours, wish to have this irresistible briyani for my Sunday lunch. Looks great. I like biryanis with ground paste. There is a lot more flavour added to it. Nice flavorful biryani! You seem to use your pressure cook a lot for cooking rice. My pressure cooker is restricted to cooking lentils & mutton, that's it. Pressure cook does make life easy and my friend always tells me to use it even for rice. Anyways, beautiful click.. I like the reflection of the bowl on the glass. Sounds like a flavor packed biryani would love to have this any day.I was going through your lovely blog and has bookmarked many of your dishes to try out.Will let you know how they turned out once I try them. Very healthy n colorful biryani, looks so inviting. 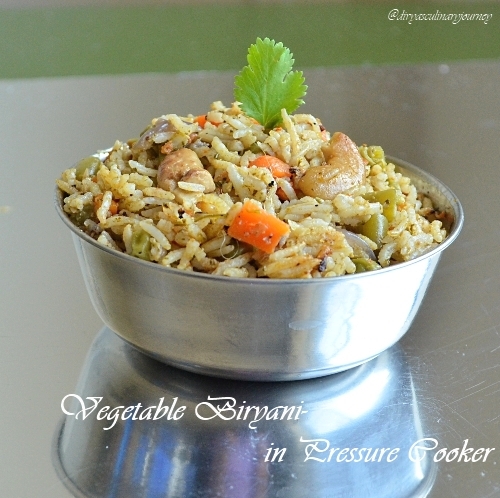 Cooking vegetable biryani is challenging, but you did it so well! Lovely!! 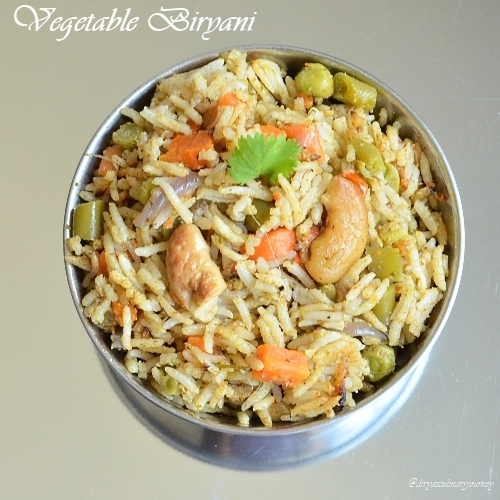 I made your veggie biryani recipe and it was awesome! Thanks for the recipe! !